Our results-driven programs are customized to your needs. Everyone is responsible for pushing themselves and the people around them to do their best. Scheduling issues preventing you from coming to the gym? Have no fear! Tutela Training Systems will design your in-home training program. Training hard without nutrition awareness? We’ll show you what, when, and how much to eat to get your body in the healthiest state possible! Our Strong SOB program is a 1 hour group program. 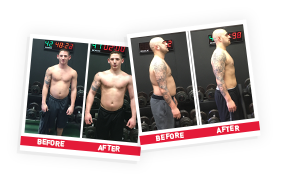 This program is designed for those that are serious about taking their training to the next level, packing on lean muscle mass and strength while reducing body fat! War Zone is a high intensity, 30 minute group session for those who are pressed for time but want to make drastic physique transformations by building lean muscle and melting off body fat at a rapid pace! Our Freak Athlete program is designed for high school, college and professional athletes that are serious about taking their games to the next level during the off-season. This program emphasizes speed, strength and power while adding pounds of muscle to your frame. We customize our group training programs to fit our clients specific needs. We train using no gimmicks! We use time-tested movements that have been proven over and over again to produce real-world results. We guarantee to not only get you bigger, stronger and more ripped than ever, but to create an environment where you truly are family and will feel that day one!